At this year’s graduation ceremonies, UAL conferred a number of honorary awards to another exciting list of international legends involved in the arts. Chelsea’s 2016 honorary awards went to alumna Phyllida Barlow CBE, artist, pictured above before the ceremony on 18 July with fellow artist and UAL Chancellor Grayson Perry, and Peter Murray CBE, founding executive and director of Yorkshire Sculpture Park. Here’s some more information about these two exceptional creatives. Born in Newcastle-Upon-Tyne (1944), Phyllida studied at Chelsea from 1960 to 1963 where she developed her interest in manipulating and handling various materials within sculpture making and installations. Barlow went on to teach Turner Prize winners and also become a Royal Academician. Since 2010, Barlow has been represented by Hauser & Wirth. Barlow’s work has been presented in solo exhibitions around the world. 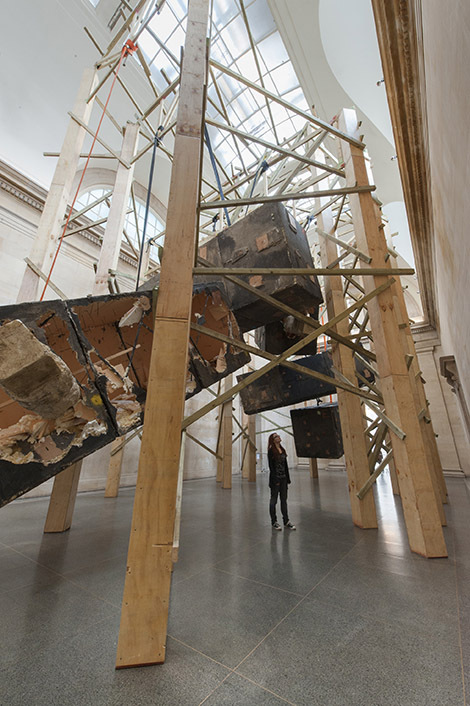 With the success and development of her work, Barlow displayed her most innovative work at the Tate Britain Commission 2014 and exhibited through the Duveen Gallery space. In 2015 Phyllida was made a CBE for her services to the arts in the Queen’s New Year’s Honours. During 2016, Barlow will present a solo exhibition of new work at the Kunsthalle Zurich. Barlow is one of four artists to be nominated for the inaugural Hepworth prize, the UK’s first prize for sculpture, and her work will be on display at the Hepworth Wakefield from October 2016. 2017 will see Barlow will represent Great Britain at the Venice Biennale. Chelsea College of Arts has a long standing relationship with Peter Murray CBE founding executive and director of Yorkshire Sculpture Park (YSP) in the north of England. Our Henry Moore sculpture is currently on loan to YSP for the Henry Moore retrospective exhibition. Peter was awarded a CBE in the 2010 Queen’s Birthday Honours list and previously awarded an OBE for services to the arts in 1996. Whilst teaching at Bretton Hall College in Yorkshire, Peter founded YSP in 1977, which is now one of the world’s leading sculpture parks, attracting over 350,000 visitors a year. From modest beginnings with an exhibition in the college grounds, YSP has grown under Peter’s direction and vision to become an international centre for modern and contemporary art, with four indoor galleries set in 500 acres of 18th century parkland. The permanent open air displays include significant works by both Henry Moore and Barbara Hepworth. Peter has also organised numerous projects overseas and one of which was the British Contemporary Sculpture at Schloss Ambras and New British Art at Kunstraum in 1998. 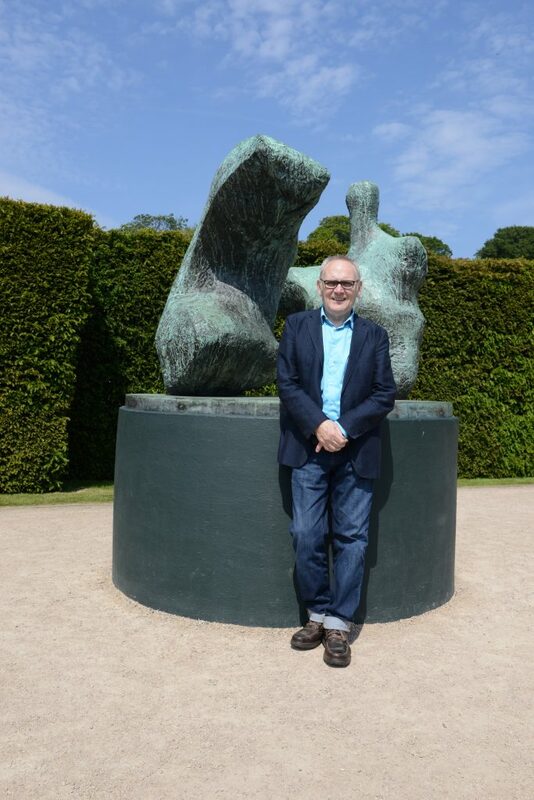 Peter Murray CBE with Chelsea’s own Two Piece Reclining Figure No.1 1959, by Henry Moore, at Yorkshire Sculpture Park.